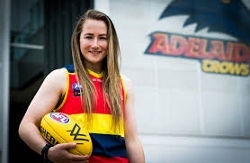 And so begins the interview with Ailish Considine, recruited by the Adelaide Crows last year after she impressed enough to catch the eye of recruiters at the CrossCoders program. Like so many before her, Ailish has a story of curiosity which became desire, commitment and now success. Last year, AFL Cairns lost its annual AFL Premiership match to fierce rival, Townsville. After a proud history of hosting pre-season cup AFL matches, the city received a VFL match in 2010 between the Gold Coast Suns and the Bendigo Bombers (affiliated then with Essendon). From 2011 to 2018, Cazalys Stadium then hosted AFL Premiership matches featuring the Gold Coast Suns – a regular, linked heavily to the club’s talent academy in Cairns. Their opponents, Richmond, Western Bulldogs and North Melbourne, put on a show which captivated Cairns’ audiences on and off the field – but now that match is gone and questions remain as to the impact that will have on the local game, especially at grassroots level. But four past and present VFL/AFL players use their knowledge of their time involved in Cairns footy, and on the bigger stage, to consider the state of Cairns footy – past, present and future. 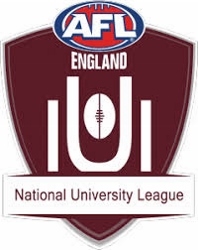 The inaugural season of the AFL England National University League came to a close last weekend with the Oxford University team taking the honours in the men’s grand final, whilst the University of Birmingham women’s team won their title. The grand finals bring to an end a season of fun and enjoyment for the university teams of Oxford, Cambridge, Birmingham and southern Wales, but more than that it was a showcase of talent within the universities. Players who are not already aligned with clubs for the upcoming season now have a pipeline in place with a successful first season at university level. The success of the program has already prompted interest from other university-based teams across England and beyond and it will be interesting to see whether the competition expands further next season. 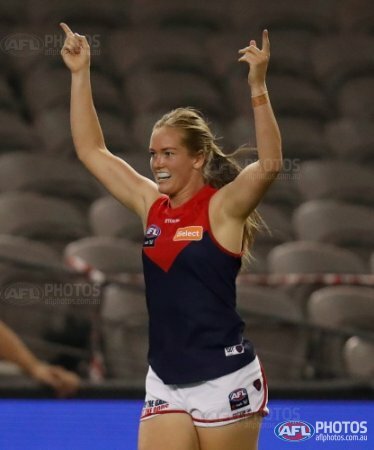 The Round Six NAB AFL Women's Rising Star Nominees are Carlton's Georgia Gee, 19 and the Brisbane Lions' Jacqui Yorston, 18. These two midfield nominations have come from the same match over the weekend. Gee was selected by the Blues in the 2017 NAB AFL Draft at pick no.12 from Beaconsfield JFC and Dandenong Stingrays. Gee's nomination has been coming for weeks now, as she has had many solid performances for her Blues throughout the season. In Round Six, Gee accumulated 12 disposals, eight kicks and two tackles in the Blues 16-point win over the Lions at Ikon Park last Sunday afternoon. Carlton secured a 16-point win over the Brisbane Lions on a typical Melbourne weather day with rain and shine at Ikon Park. In a match that was similar to a elimination final for Conference B, the contest was hot all day. The Blues decisive win was steered by Maddie Prespakis, Amelia Mullane and Tilly Lucas-Rodd. This win was set up by the Blues in the second half, where the Blues took full control over the Lions scoring four goals to two. The mighty Adelaide Crows thumped a bold Greater Western Sydney Giants by 32 points in hot conditions at Unley Oval. It was the first ever AFLW match played at Unley Oval. The Giants took it right up to the formidable Crows outfit making for an entertaining contest. In the second half of the match, the Crows ran away with the match especially in the final term where they scored four goals to the Giants none. 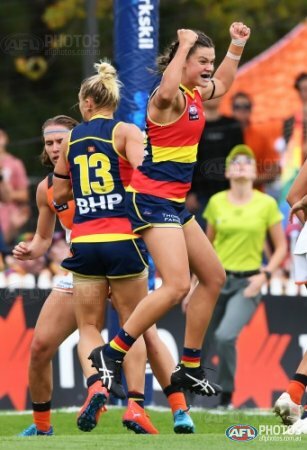 The young guns of the Crows in Danielle Ponter, Anne Hatchard and Chloe Scheer handled the high-pressured match extremely well. 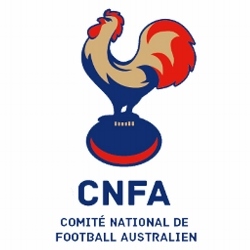 Both the Paris Cockerels and the ALFA Lions have strengthened their chances to play in the CNFA Leo Legrange finals series later this year, coming away from their trips to Toulouse with victories. It was a tough day for both Stade Toulousain teams with defeats that will certainly put pressure on their own finals chances. In the opening match, the Paris Cockerels were too good for the Stade Toulousain 1 team, winning by 22 points. The victory certainly puts the Cockerels into flag favouritism and a chance to seek back to back titles. Despite a hiccup when they went down narrowly to the Bordeaux Bombers, the Cockerels have looked the goods again this season. The ALFA Lions have been determined to put their rollercoaster journey behind them. After winning the 2016/17 flag and missing the finals altogether in 2017/18, the Lions have worked hard to get back into finals contention. Their victory against the Stade Toulousain A team by 24 points keeps them inside the top four and a good chance to hold their ground throughout the remainder of the season and play finals. 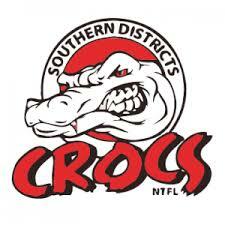 Crocs To Grand Final – Look Out Tigers! Next Saturday the NTFL Premier League season will come to a close when the Southern Districts Crocs attempt to retain their title and win back to back flags. Their demolition of the Tiwi Bombers last night at TIO Stadium saw them back into another big dance with a chance to seek their fourth flag. Just last weekend, the Tigers trounced the Bombers to advance to the grand final. They looked a shade better than the rest. But Southern Districts have sounded an ominous warning to the Tigers after a blistering second half against the Bombers – they have told the Tigers outright that to win the flag you have to beat us. 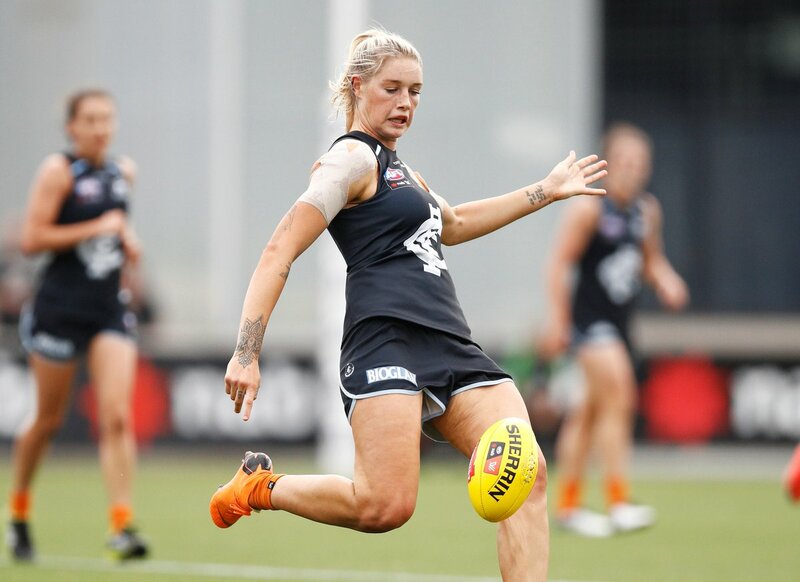 After a tight first term, the Crocs got a little break on the Bombers by half time – a five goal break and a big rescue mission for the Bombers if they wanted to get back in the game. The 31-point deficit for the Bombers was significant, but not insurmountable. “I played both club and school soccer through U17’s. During my youth games, I ran in the mids/forwards and was a natural goal scorer. After exceeding a score limit set by my coach, I was put into goalkeeper, so everyone had an equal opportunity to play. “My mom loves to describe the next part of the story with enthusiasm, because as one might guess, the other team had a sudden chipped ball over the last defender and is then on a breakaway toward me. With a lot of struggle and some miracle, I yanked my body from the net in time to make a diving save. I remember the eruption of parents on the sideline, and the deep scolding I got after the fact. Melbourne were victorious in a one point heartstopper over the Western Bulldogs under the roof at Marvel Stadium. The Dees inaccurate goal kicking almost cost them the win, but they’re still in finals contention this season. It was an entertaining contest from two quality teams, as they played amazing football. 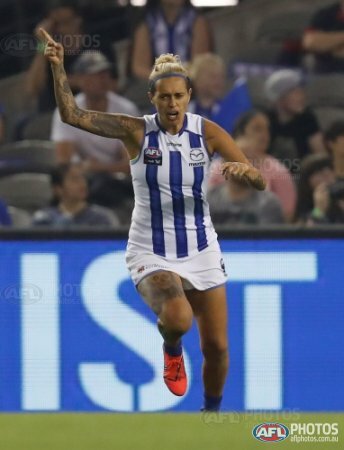 The match had lots of ebbs and flows and was one of the best AFLW matches this season. The North Melbourne Tasmanian Kangaroos crushed a fearless Collingwood by 22 points under the roof at Marvel Stadium. It was a marvellous win by North and this win from North is massive to keep their top two chances in Conference A well and truly alive. After quarter time, North showed their superiority over the Magpies and it was led by their elite midfield. Jasmine Garner, Jenna Bruton and Jamie Stanton were the standouts for North in the match.